Many businesses in Maryland invest in security to keep people safe on their premises. When a person is the victim of an assault, robbery, or some other crime because of a security failure, then the property owner could be responsible for the damages. Many of these types of cases can hinge on the foreseeability of the crime. For example, a property owner can be responsible for not providing proper security in an area known for crime problems. If you suffered severe injuries or your loved one was killed in Maryland as the result of a property owner’s inadequate security, you deserve answers. CHASENBOSCOLO can help you get justice. CHASENBOSCOLO has recovered more than $750 million for our clients since 1986. You can have our lawyers review your case when you call (301) 220-0050 or contact us online to take advantage of a free consultation. A claim involving negligent security can be a very challenging personal injury action for a person to handle on their own. You will want to have an attorney so they can conduct an independent investigation and determine the specific cause, collect valuable evidence, and identify all negligent parties. An insurance company for the property owner will likely contact you soon after the accident, and you should let a lawyer handle these phone calls on your behalf. Insurers will usually take one of two approaches. In most cases, the insurance company will have a representative act very concerned and express a willingness to help a victim even though the agent’s true goal is to try and get the victim to make statements that are ultimately used against them to reduce the value of their claim. You should always refuse to provide any recorded statement to an insurance company until you have legal representation. Insurers could also try to quickly offer you a lump sum settlement to resolve your case, usually under the idea that accepting it will allow you to “keep more money for yourself.” Even when a settlement offer sounds sizable, you should know that most initial offers are lowball amounts that are nowhere near what victims are actually entitled to and you will want a lawyer to negotiate a fair and full settlement. CHASENBOSCOLO has recovered hundreds of millions of dollars for clients all over Maryland. Our firm will fight to get you every last dollar that you need and deserve. 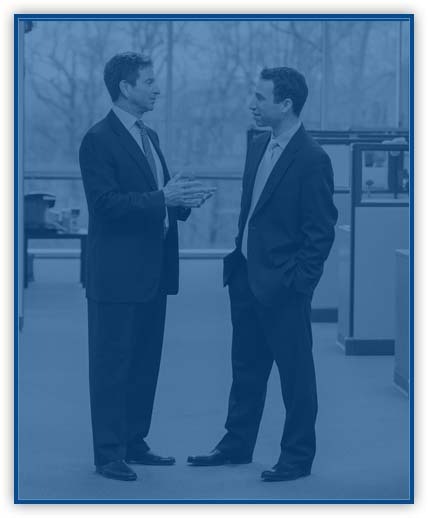 Barry M. Chasen and Benjamin T. Boscolo each have more than 30 years of legal experience. Both attorneys have received an AV Preeminent rating from Martindale-Hubbell, a peer rating denoting the highest level of professional excellence. CHASENBOSCOLO always puts the interests of our clients first. We treat every client like family and prepare every case for trial. Our firm also offers the No Fee Guarantee®, which means that you do not have to pay anything until you obtain a monetary award. We will work toward a just settlement to your case, but we will not hesitate to file a lawsuit when an insurance company does not make a satisfactory offer. These cases can often require proof of previous incidents or criminal activity for which a property owner should have been aware of certain dangers. For example, a business in which there were multiple people who were robbed in the prior months will probably be expected to invest more heavily in security for their customers. The team at CHASENBOSCOLO is here to answer all of your questions about inadequate security claims, and we’re here to assist you with getting the compensation and justice you are owed. Read our FAQs below, and contact us at (301) 220-0050 to speak with a knowledgeable member of our team today. Contributory negligence is a defense commonly claimed by many defendants in Maryland because a finding of contributory negligence—which is defined as the “degree of reasonable and ordinary care that a plaintiff fails to undertake in the face of an appreciable risk which cooperates with the defendant’s negligence in bringing about the plaintiff’s harm”—will bar any recovery of damages. Only four other states besides Maryland allow for the contributory negligence defense, and it can be a more difficult defense to claim in an inadequate security case. Nonetheless, you should always avoid speaking to an insurance company because of the risks of you possibly admitting to some form of contributory negligence that ultimately harms your injury claim. What damages could I recover in an inadequate security lawsuit? When you file any kind of civil action, the insurance company for the defendant will generally be more likely to settle a case than to take it trial. The bottom line remains for most insurers that a settlement is usually more cost effective than going to court and risking a possible judgment. When a case does go to trial, a victim who proves a defendant’s negligence by a preponderance of the evidence can be awarded compensatory damages, which are customarily a combination of economic damages and noneconomic damages. Economic damages refer to the costs a victim has incurred or will incur, like lost wages, medical bills, and property damage. Noneconomic damages are not quantifiable, typically involving awards like loss of consortium, emotional distress, or pain and suffering. Maryland Courts and Judicial Proceedings Code § 3-2A-09 states that noneconomic damages cannot exceed $860,000 in 2019, but state law provides for the limit (often referred to as a “cap”) on noneconomic damages to increase by $15,000 on January 1 of each year. In a very limited number of cases, a person could also be awarded punitive damages. Punitive damages are available only in tort actions and a punitive damages award can be based on nothing less than actual malice, “in the sense of conscious and deliberate wrongdoing, evil or wrongful motive, intent to injure, ill will or fraud.” A plaintiff’s entitlement to punitive damages must be established by clear and convincing evidence and there is no statutory cap on an award of punitive damages. In most cases, punitive damages are awarded solely to punish defendants for particularly egregious or reckless misconduct. What needs to be proven to win an inadequate security case? An inadequate security claim will require a plaintiff to prove four elements by a preponderance of the evidence (meaning the greater weight of the evidence, or at least 51 percent). A defendant will need to have had some kind of duty of care, such as a duty to make sure somebody is not injured on their property. The next thing that must be proven is that the defendant breached that duty of care, and the breach of duty caused your injuries. The last thing that must be proven is that your injuries resulted in actual damages. What should I do if I was involved in an inadequate security accident? When you are involved in any kind of negligent security accident, always be sure that you get medical attention. You should do this even when you do not think that you were hurt, as certain injuries can have delayed symptoms and you will want to make sure that you have all injuries appropriately treated as soon as possible. You should also file a report with the business responsible for providing security, and ask for a copy of your report. Take pictures of the scene of your accident, and try to focus on any particularly relevant dangers by getting photographs from multiple angles and distances. When there are people who witnessed your accident, be sure that you get their names and phone numbers. Ask a friend, family member, or co-worker to do this for you if you cannot take these steps yourself. Lastly, be sure that you contact a lawyer before you answer any phone call from an insurance company. How long do I have to file an inadequate security lawsuit? Under Maryland Courts and Judicial Proceedings Code § 5-101, a person has three years from the cause of action (the date of their accident) to file a civil action. Some individuals could have exceptions to their statute of limitations though. For example, a minor can have their limitations period tolled (delayed) until they turn 18 years of age, and a person who is incapacitated can have their limitations period tolled until their incompetency ends. Did you sustain serious injuries or was your loved one killed as the result of a property owner’s inadequate security in Maryland? It will be extremely important for you to quickly find legal representation. CHASENBOSCOLO has Maryland offices in Waldorf, Hyattsville, and Greenbelt. Call (301) 220-0050 or contact us online to set up a free consultation.